About this objectTrish McKelvey and Gwen Nagel during Test between New Zealand and India. Carisbrook, 1977. 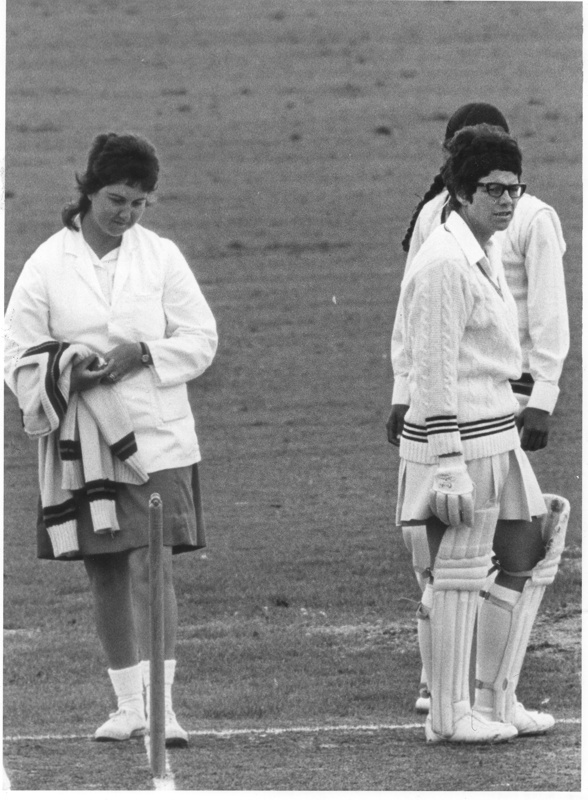 Gwen Nagel was the only women test umpire at the time.